Because old habits are tough to break. I’m fully aware that streaming is the future of media. Everything is shifting in that direction. I’m a holdout within my Millennial generation, one who clings onto physical media because I’ve never known anything else. My walls are lined with bookshelves holding thousands of books, movies and video games, with 99.9%+ of them on any given day doing nothing more than gathering dust. I’ve invested time and thought and energy into this hobby, and it’s a tough one to break. John C. Abell wrote on LinkedIn on Tuesday that “Only Losers Buy Movies.” I know it’s a click-bait headline, but I also know the sentiment is true. 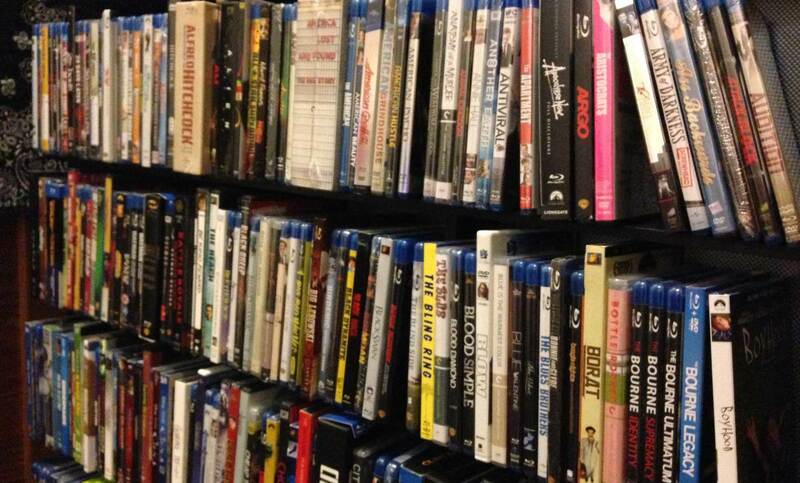 Every time I buy a movie on Blu-ray, I’m losing money. Sure, the case’s spine looks pretty on my shelf, but that only goes so far. To really make a Blu-ray purchase worth it, I need to watch that movie a lot of times. You can rent most movies on iTunes or Amazon for about $5 or $6. New movies on Blu-ray are between $15 and $20. Am I really watching movies that I buy three or four times? No. The value isn’t there. And yet, I feel compelled to buy them. I’m worried to become accustomed to the mentality of, “Oh, it’s on Netflix.” Because aside from things like Orange is the New Black and House of Cards, I don’t think everything will be on Netflix forever. There’s something reassuring to me about having physical media on my shelf. I can’t explain it any better than that. I’ve (in theory) rounded the corner when it comes to books. My Kindle Voyage is too beautiful and too lightweight to make me ever want to pick up a real book again. (Questions remain, though: What do I do with all the physical books I haven’t read? Buy them again in Kindle? That seems… expensive.) I want my video games to go all-digital, but I don’t think that’s going to happen in the near future. I’ve gone all-digital for music, and don’t even buy mp3s unless they’re not available on Spotify. Movies are a different story, though. I don’t know why I keep buying them, aside from the fact that I already have a couple shelves with over a thousand movies or TV seasons on them. Old habits really are tough to break.